The food and beverage industry has faced many challenges over the past years, and while things finally look to be improving, obstacles remain, according to the Milwaukee Journal Sentinel. In fact, the issues faced by the industry pretty much run the gamut of those that arise within a supply chain. Erica Kuhlmann, market executive and managing director of the Food, Consumer and Agribusiness Group at BMO Harris Bank, said that the industry has had to contend with changing consumer preferences, regulatory uncertainty, productivity issues and volatile crop prices. It is the recent drop of many crop prices, especially corn, that may give food and beverage companies a boost in 2014. However, consumer health concerns continue to have a large impact on the supply chain as manufacturers, particularly of soft drinks, must find the right recipes and tastes to keep customers happy. 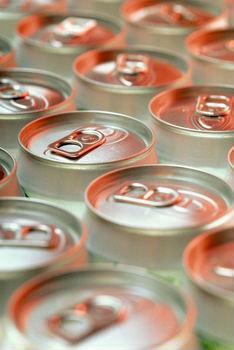 There has been negative press regarding diet drinks, as well as pushes for pure cane sugar and even non-GMO ingredients. Consumers also seem to respond greatly to nearly any medical study or new trend, so what's popular one day is not the next. Health consciousness has also led government agencies to begin an overhaul of food labeling. Food and beverage manufacturers may need to include more nutritional information on packaging, which could change the way consumers view their products. The Food and Drug Administration recently proposed major changes to nutrition labels for the first time in 20 years. For instance, The New York Times reported that new beverage labeling regulations could require companies to label 20-ounce bottles of soda as a single serving instead of two-and-a-half portions, drastically driving up the calorie count that would appear on the back on the bottle. This size of the information, such as total calorie count, would also be larger and displayed more prominently. Improving data collection is one way that many companies in this unique supply chain can keep costs under control. For food companies, data collection can greatly improve inventory control, reducing the amount of product that is spoiled and wasted. Companies can also build more complete and comprehensive lists about suppliers so that a change can be made quickly when supply or cost changes. Data collection software is also a must when completing a successful food recall. Consumers have food and beverage companies under the microscope when things are running correctly, so in the instance of a recall, being prompt and complete is more necessary than ever. Furthermore, government agencies have also created tighter timetables for the completion of recalls. Failure to meet new consumer and government expectations harms brand reputation and can slap companies with large fines and penalties. Barcode-scanning software also allows employees to be more productive, which ultimately saves costs in the warehouse. Metrics can be tracked for specific employees to measure performance and establish sluggish points in the supply chain. Data entry is also much more accurate with automated data collection and can be accessed throughout the enterprise in real time.